To celebrate the release of The Snowman in cinemas today, we’ve got 5 incredible prizes to give away! The first prize includes a The Snowman merchandise pack which includes a T-shirt, pen and pad plus a white SONOS PLAY:1 smart wireless speaker. The second prize includes a The Snowman merchandise pack plus a The Snowman book and there are 3 runner-up prizes of a The Snowman merchandise pack. Based on Jo Nesbø’s global bestseller, The Snowman stars Michael Fassbender (X-Men series), Rebecca Ferguson (Mission: Impossible—Rogue Nation), Charlotte Gainsbourg (Independence Day: Resurgence), Val Kilmer (Heat) and Academy Award® J.K. Simmons (Whiplash), in a terrifying thriller from director Tomas Alfredson (Let the Right One In, Tinker Tailor Soldier Spy). For a chance to win one of these prizes just enter via our competition app below! The Snowman is in cinemas now. 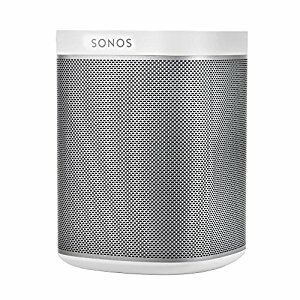 The first prize consists of a T-shirt, pen, pad and a white SONOS PLAY:1 smart wireless speaker. The second prize consists of a The Snowman book, T-shirt, pen and pad. Three runner-up prizes consist of a T-shirt, pen and pad.